"A Wise Teacher Makes Learning a JOY"
This blog highlights the JOY of learning in of our LIVE Classroom Insurance Continuing Education Courses. While visiting my daughter at college, I found this coffee cup (image to the left) at a local discount store. Being a teacher that loves my work, I had to buy it. 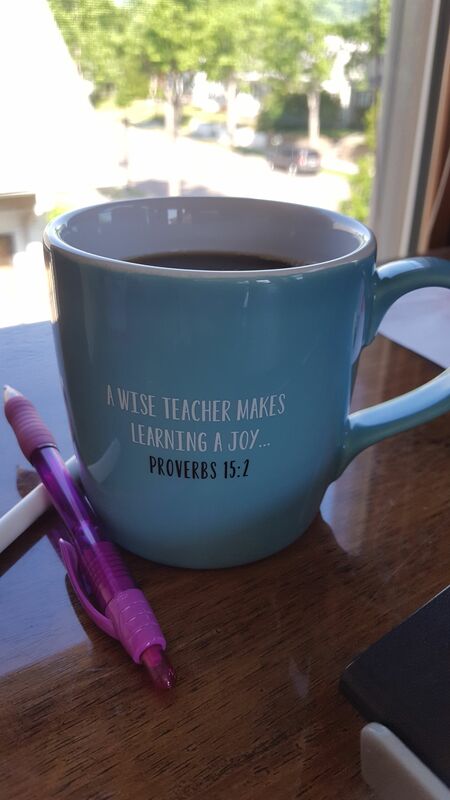 A WISE TEACHER MAKES LEARNING A JOY--Proverbs 15:2. Imagine my surprise as I had no idea they wrote about ME in the Bible! Please, please, please do not take offense. In my very humble opinion, God loves comedy. He's a jokester. Just look around you. His wit is EVERYWHERE. The basis of this belief in our ability to laugh. Our Creator bestowed us with a special reaction to humor. 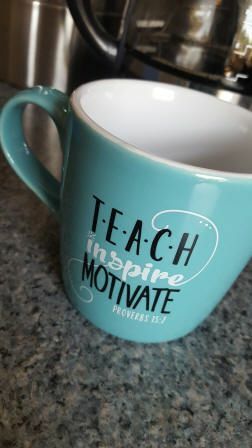 Seems like a Devine connection to me, and if you have no faith in God or the Bible, the point of this discussion is still true--A WISE TEACHER MAKES LEARNING A JOY. When learning is a JOY, the retention is better and fundamentally all things enriched. A wise teacher can connect with their audience, their students, on a variety of levels. Offering clear concise data when of value. Illuminating the information with engaging stories or examples. Keeping it real and relevant, and dare I say, throwing in a dash humor to spice things up. My goal is, and has always been, to offer insurance agents that sort of value in their insurance continuing education classes. From your feedback, Bryan Ventures has hit the mark. Time and again we hear, "This is the BEST CE!" Let me share with a you a couple of recent stories that both warm my heart and reinforce that agents have found LEARNING A JOY in our insurance CE classes. Early in 2018 an agent who has attended our classes for well over a decade called to speak directly to me. This is not unusual. Having worked together for years now, many of the professionals that use our classes consider me to be a friend and that feeling is more than mutual. I have gained a great affection and admiration for many of the insurance agents I've been blessed to work with over these many years. The purpose of his call was to tell me he was retiring. He didn't realize the last insurance CE class he attended would be his LAST class, and he was compelled to say goodbye. It brings tears to my eyes to consider that he felt such a connection to me as to call an insurance CE instructor he'd seen just once per year that he would miss attending. Well, Mr. Rod Hansen, we miss you too. I shared this story in our Hinckley classes, where Rod frequently attended, and one agent in the room said, "Isn't he a great guy? He helped me get started in this business." There it is--more JOY! Through this fabulous teaching career, I have the sheer blessing of connecting with such absolutely wonderful people who are making a difference, adding JOY, to many other lives as well. Before wrapping this up, one last bit of JOY--the world needs more of it anyway. One of the agents that attends our Owatonna classes called me this past spring with an update that absolutely tickled me--the height of JOY, "Renee, I retired last year. I don't need the continuing education anymore, but I love your class. Is it OK if I still attend?" What? You don't need continuing education anymore, but you enJOY the class so much that you still want to attend? This is one for the record books and you most certainly don't need to know how I might have responded, right? She attended and kept thanking me at the breaks for letting her still come back. Dearest Ms. Lucille Olson, you are welcome anytime. You are a JOY--through and through, without one doubt.